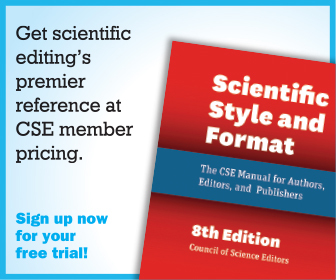 Science Editor is published quarterly in print and online by the Council of Science Editors (CSE). Early Online articles are published weekly as accepted. 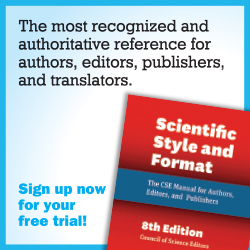 The mission of Science Editor is to provide editors and staff with the knowledge, skills, and concepts they need to run the best version of their journal or other publication in pursuit of improving the scientific literature. Science Editor has recently undergone a number of exciting new changes. 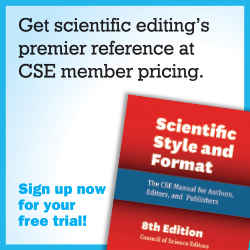 For more information, please see Welcome to the New Science Editor!